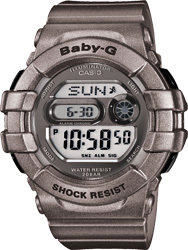 These new models add a distinctive shiny face to the Baby-G. A BGD-140 base model, which is specially shaped to protect the watch against impact, comes in a selection of three basic colors: Black, White, and silver. The face face of the watch is plated with either gold or silver color material, which combined with a mirror LCD produces a design that really shines. 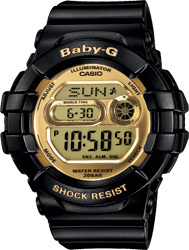 Features include 200-meter water LCD produces a design that really shines. 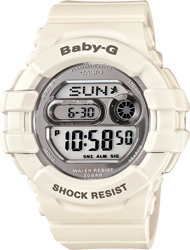 Features include 200-meter water resistance, which makes these watches as functional as they are fashionable.